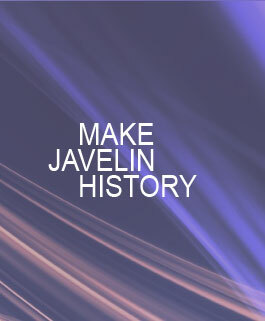 1046€ 2200mm Ø25mm 600g The most significant development from Nemeth Javelins, Olympic quality competition javelin. 938€ 2200mm Ø25mm 600g Nemeth Javelins' current world record holder (72.28m) and Olympic champion (2008) competition javelin with medium carbon fiber coating. 782€ 2200mm Ø25mm 600g Nemeth Javelins' world (2001, 2005, 2009) and Olympic champion (2004) and former world record holder (71.70m) competition javelin with medium carbon fiber coating. Recommended for technically advanced, physically capable throwers. Good compensation in case of less accurate release. 564€ 2200mm Ø25mm 600g The excellent Nemeth Standard 70m competition javelin received a soft carbon fiber coating. You can download our Women's Al-Carbon javelins catalogue here: Women's Al-Carbon Javelins Catalogue.